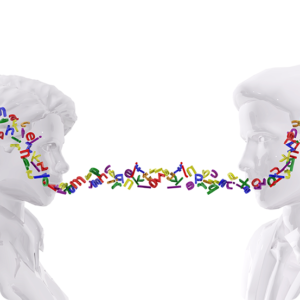 Speech and Language Therapy (SLT) is at the crossroads between medicine and psychology. Speech and Language Therapist provides screening, prevention, evaluation, diagnoses and treatment of verbal and non-verbal communication difficulties and oro-facial related problems such as dysphagia or swallowing problems and facial paralysis. Speech and language Therapists, also known as Speech Pathologists, Orthophonistes and Logopèdes are Allied Health professionals. They provide prevention care and support for patients of all ages and their families or caregivers. They work collaboratively with parents, caregivers and other professionals, such as teachers, nurses, occupational therapists, psychologists and doctors. SLTs provide training and family education. At the age of 3 years and 6 months, the speech of the child should be clear and intelligible by the family and the strangers. If the speech is unclear and includes omitting, adding, reversing syllables, then the child should be referred to a Speech and Language Therapist to prevent learning problems or stuttering. Language delay concerns language abilities to understand words, sentences and conversations (receptive language) or expressing using words, simple and complex sentences, on the usual age appropriate for their developmental milestones. Autism, or autism spectrum disorder, refers to a range of conditions characterized by challenges with social skills, repetitive behaviors, verbal and nonverbal communication, as well as by unique strengths and differences. The tongue moves forward in an exaggerated way during speech and/or swallowing. The tongue may lie too far forward during rest or may protrude between the upper and lower teeth during speech and swallowing, and at rest. This will affect the dental occlusion. Stuttering is a fluency disorder affecting the speech characterized principally by blocks or spasms or repetitions during the communication. Difficulty in swallowing is also called dysphagia. It is most common in people suffering from the brain (brain injury, stroke …) or post-operation such as laryngectomies. Or hearing loss. It affects senior’s communication, child’s communication and learning abilities. Neuropsychologist studies the structure and function of the brain as they relate to specific psychological processes and behaviors. Neuropsychology is an experimental field of psychology that aims to understand how behavior and cognition are influenced by brain functioning and is concerned with the diagnosis and treatment of behavioral and cognitive effects of neurological disorders. Memory is the power or process of reproducing or recalling what has been learned and retained especially through associative mechanisms. Memory is the ability of the mind to store and recall past sensations, thoughts, knowledge. Among the types of memory: visual memory, hearing memory, working memory, narrative memory… Children with learning disability can suffer from memory problem. Attention is a brain function that allocates cognitive processing resources to focus on information or stimuli. Attention is the ability to keep the mind focused on something through careful observing or listening. Attention is often the beginning to other cognitive functions. You first must pay attention to something before you can process it for meaning and understanding. There are several types of attention that help you to focus: sustained attention, selective attention, alternating attention, divided attention. Executive functions are a set of cognitive processes, including attentional control, inhibitory control, working memory, and cognitive flexibility, as well as reasoning, problem solving, and planning. Those are necessary for the cognitive control of behavior: selecting and successfully monitoring behaviors that facilitate the attainment of chosen goals. Visual-spatial ability is the ability to mentally manipulate 2-dimensional, 3-dimensional and 4-dimensional figures. It is typically measured with simple cognitive tests and is predictive of user performance with some kinds of user interfaces. Our visual and spatial skills help us find our orientation in space, perceive objects around us and organize them into a coherent visual scene, mentally imagine an object that isn't physically present. Motor Apraxia/Dyspraxia: the patient will have problems/difficulties in drawing, imitating actions, executing quick and alternative movements. Oro-facial Apraxia/ Dyspraxia: will have problems/difficulties to move his oral muscle, his tongue, inability to speak. Agnosia is the inability to process sensory information. Often there is a loss of ability to recognize objects, persons, sounds, shapes, or smells while the specific sense is not defective nor is there any significant memory loss. It is usually associated with brain injury or neurological illness. Traumatic brain injury (TBI) is an insult to the brain, but caused by external physical force that may produce a diminished or altered state of consciousness, which results in an impairment of cognitive abilities or physical functioning. Profound disturbances of cognitive, emotional, and behavior functioning after TBI may produce permanent impairments that result in partial or total functional disability and psychosocial maladjustment. The center offers a full cognitive assessment and rehabilitation program for patients suffering from Brain Injury. A neurological disorder that includes episodes of sensory disturbance, loss of consciousness or convulsion associated with abnormal electrical activity in the brain. The epilepsy affects the cognitive skills and can lead to language and learning problems. A stroke occurs when blood flow to a part of the brain interrupts or reduces. It is sometimes called brain attack. The stroke can cause paralysis, difficulty in swallowing, aphasia (language problem), reading or writing, memory loss or thinking difficulties, and/or emotional problems. Our rehabilitation center offers a comprehensive assessment and treatment for stroke patients. Occupational Therapy aims at helping individuals across the lifespan participate in the activities they want to do or need to do. Occupational Therapy is based on the therapeutic use of everyday activities. Occupational therapists help children participate fully in play, school activities and self-care tasks. They help clients recover from injury and regain or enhance their daily lives after specific events (diseases, accidents, mental illness, old age...). Occupational therapists assess and modify clients’ homes and community environments to ensure accessibility and improve their safety and independence. Occupational therapists prescribe and educate clients and carers in the use of adaptive equipment to assist function. Occupational Therapy is a holistic approach that includes the clients in every step of the therapy program and helps them improve their confidence and self-esteem in social situations. Sensory integration therapy aims to help kids with sensory processing difficulties (hyper-responsiveness and hypo-responsiveness) by exposing them to sensory stimulation in a structured, gradual and repetitive way to nervous system to respond in a more – organized - way to sensory inputs such as movement, touch, pressure, auditory, olfactive and oral/tactile inputs. Gross motor skills allow children to perform activities, such as walking, running, climbing, participating in sports, ball skills, etc. 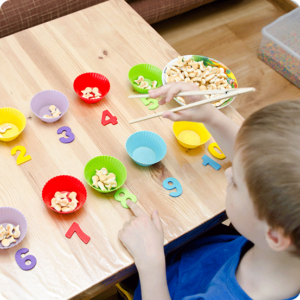 Moreover, these skills are extremely important for the participation in daily living and learning/school tasks such as reading and writing, mealtime and fine motor activities such as drawing and cutting. School-based occupational therapy promotes academic achievement and social participation in all school routines, including recess, classroom, and canteen. This allows children to accomplish their role as students. The therapist also works on improving academic related skills such as, ability to sit and attend in class, handwriting skills, scissor skills and visual motor and perceptual skills. The underlying skills for handwriting include sensory processing, posture, visual motor integration, spatial perception, eye hand coordination, fine motor skills, pencil grasp, motor planning and organization. The therapists work with the child, parents and teacher to help the child achieve legible handwriting by assessing readiness, identifying difficulties and chosing the convenient handwriting program and correct approach and equipment for each child. Children and adults may present difficulties in movement skills such as coordination (the ability to use both sides of the body at the same time) and motor planning (the ability of the brain to conceive, organize, and carry out a sequence of unfamiliar action). These difficulties may result from developmental problems, brain injury or stroke. The occupational therapist works on restoring and maintaining these skills through the therapeutic use of activities and/or the implementation of palliative strategies and adaptation. Seniors and disabled people require environment modifications and adjustments to meet their mobility and positioning needs. The occupational therapist helps older or disabled people live in a safe place and stay happy and productive in their communities by reducing the disabling effects of the physical environment and eliminating barriers at home and workplace. Self-care includes all the tasks an individual does throughout the day to look after his or herself: personal care, functional mobility, and community management. Occupational therapists assess the person’s ability to complete a task then based on the evaluation, the intervention may focus on improving the individual’s skills, adapting the environment, or modifying the task to enable the person to achieve functional independence. An assistive device is a piece of equipment or a product system that can be purchased or manufactured, modified to be used with a person with disability to increase, maintain, or improve his/her mobility or functional independence. The occupational therapist evaluates the person’s abilities, limitations and physical environment before prescribing the suitable device. The occupational therapist provides training in devices for individuals and caregivers if needed. The Cognitive Behavioral Therapy (CBT) provided in our center has been scientifically proven to be effective with children, adolescents and adults. The CBT will not only focus on reducing symptoms, it will help embracing the strengths of our clients to be more resilient and engaged in their life. The therapy will be provided in a supportive and confidential atmosphere where we respect cultural and individual differences. Therefore, each therapy will be personalized to help our clients, children or adults, to reach their goals. The CBT can be described as generally active, directive, structured and relatively short-lived. It focuses on the present while understanding the origin of the problem in the past. Anxiety disorders are characterized by an excessive fear and/or worry about the present and the future that can interfere with daily life activities such as school work, job performance or social situations. There are several types of anxiety disorders, including generalized anxiety disorder, panic disorder, agoraphobia, specific phobias, social anxiety disorder, illness anxiety disorder, separation anxiety and selective mutism. Mood disorders are characterized by a serious change in mood. There are several types of mood disorders including: major depressive disorder (MDD), dysthymic disorder and bipolar disorder. Obsessive compulsive disorder is characterized by the presence of recurrent obsessions (thoughts or images) that are intrusive and unwanted, and the presence of compulsions (repetitive behaviors or mental acts) that an individual feel driven to perform it. Some other related disorders are also characterized by excessive preoccupations or body focused repetitive behavior like hair pulling, hoarding, or skin picking. Eating disorders are mental disorders that negatively affect a person's physical or mental health. They include binge eating disorder where people eat a large amount in a short period of time, anorexia nervosa where people eat very little and thus have a low body weight, bulimia nervosa where people eat a lot and then try to rid themselves of the food. Addiction is a persistent, compulsive dependence on a behavior or substance. Addiction has been extended, however, to include mood-altering behaviors or activities. Substance addictions such as alcoholism, drug abuse, smoking and behavioral addictions like spending, shopping, internet addiction and sexual activity. Following a traumatic stressful event, individual will experience variable clinical distress. The trauma can be terrorism attacks, natural disasters, car accident, divorce, loss of a loved one, childhood trauma and more. People can experience a deep sense of helplessness, anxiety, abnormal fear, flashbacks from the event, avoidance to situation that might trigger memories, aggressiveness, anger outbursts, and anhedonia. Trauma- and Stressor-Related Disorders include: Post traumatic stress disorder, Reactive Attachment Disorder, Disinhiblted Social Engagement Disorder, Posttraumatic Stress Disorder, Acute Stress Disorder, Adjustment Disorders. Problem behaviors such as physical aggression, impulsivity, agitation, self-injury, and tantrums are major barriers to effective social and educational development. Such behaviors put children/adolescents at risk for exclusion and isolation from social, educational, family, and community activities. In addition, problem behaviors may place an onerous burden on families, particularly as children grow from preschool into school age. Emotional problems vary such as sadness, feeling of shame and guilt, shyness, pathological jealousy, excessive anger, emotional blocking, low self-esteem enuresis. The therapy will focus on anger management, shame therapy…These problems if not treated can increase the stress level and lead to other problems such as difficulty of memorization and concentration, insomnia and sleeping disorders. Copyright © 2017 Talking Brains Center. All Rights Reserved.